Very retro, central and convenient for cafe's and shops. Good location, easy 2 min walk to town and marinas. 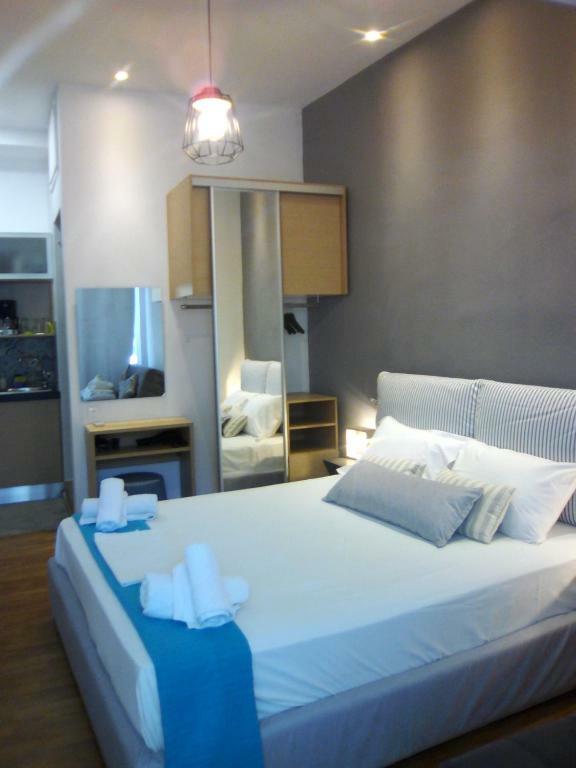 Good location close to Town centre. Well equipped. Very good value for money. I have stay there second time. Nice rooms with good furniture. 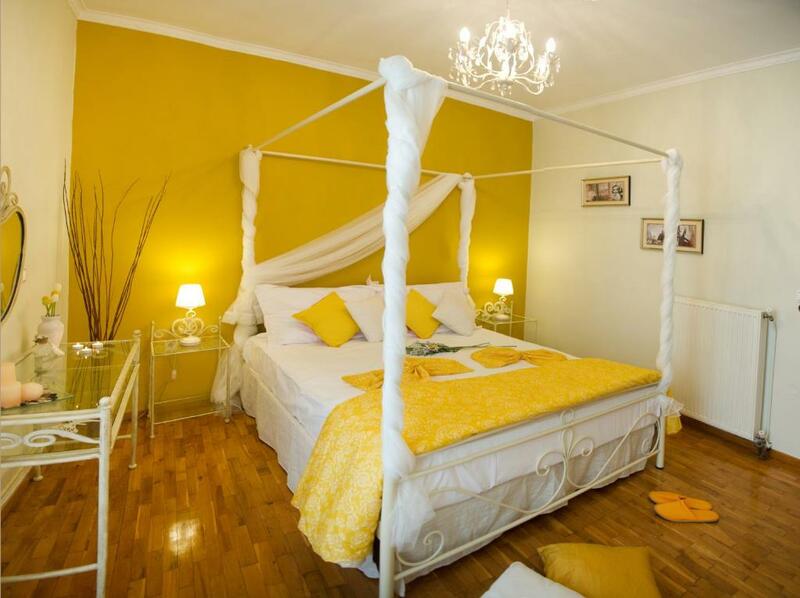 Perfect for stay in Lefkes city. Comfortable, right in the centre and great value for money. We've stayed her many times over the last 4 years and will keep doing so in the future. Clean, light, lovely decor, great shower and location. 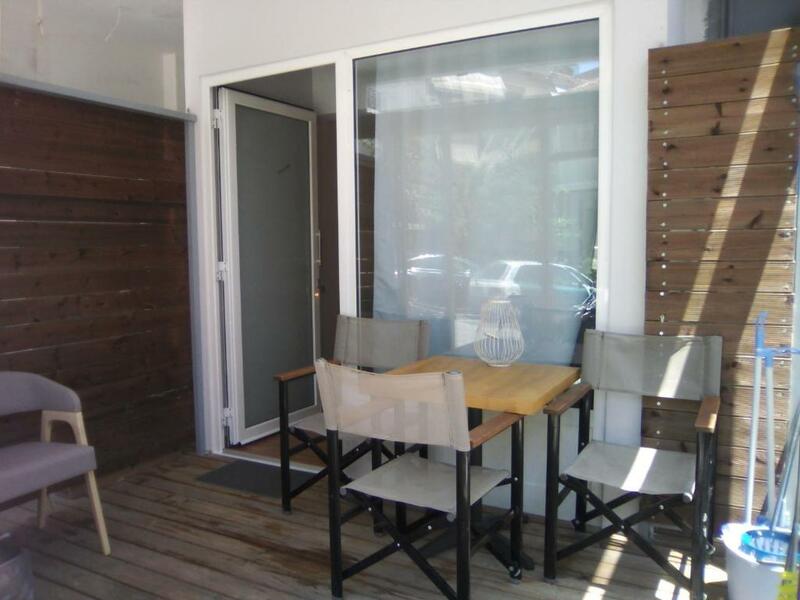 Huge apartment, ideal for 2 families, clean, fully equipped, good Wi-Fi, very close to restaurants, supermarkets and pedestrian area, public parking in front of the balcony (no problem in finding place each time we used the car). Beautiful, well kept apartment. Loved having a kitchen and washing machine. Essential for families. All rooms air conditioned. Effective, quiet air conditioning. Good position close to centre and marina. Spacious and quiet. Good balcony for watching the street scene. Convenient location - though a little difficult to locate as no obvious sign indicating where the apartment was! I used sat nav on my phone which took me to the door which had a simple mat stating 'welcome' but no name! 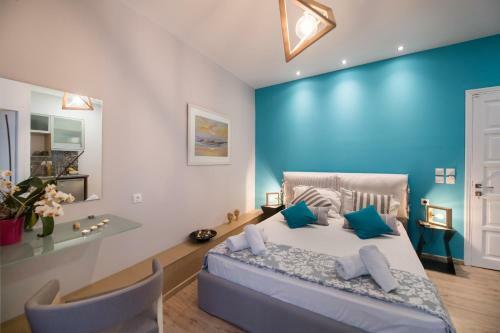 Lock in a great price for Lefkas City Apartments – rated 8.8 by recent guests! One of our best sellers in Lefkada! 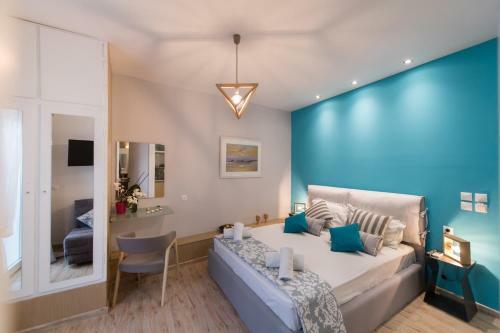 Centrally located in the scenic Lefkada Town, Lefkas City Apartments offers elegantly furnished apartments with fireplace and a private balcony. It has a snack bar on the ground floor serving breakfast and drinks. 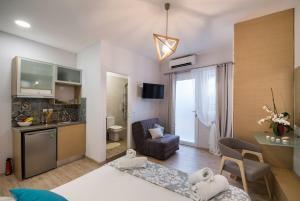 Fitted with wooden and tiled floors and canopy beds, all self-catering apartments of Lefkas City have a seating area and a well-equipped kitchenette. 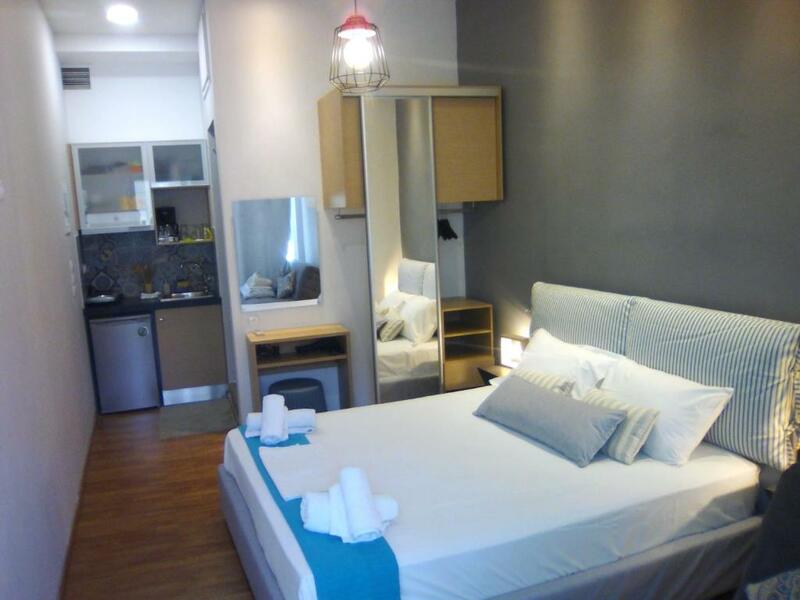 Each unit is equipped with air conditioning, a safe and a flat-screen TV. Free WiFi is provided. 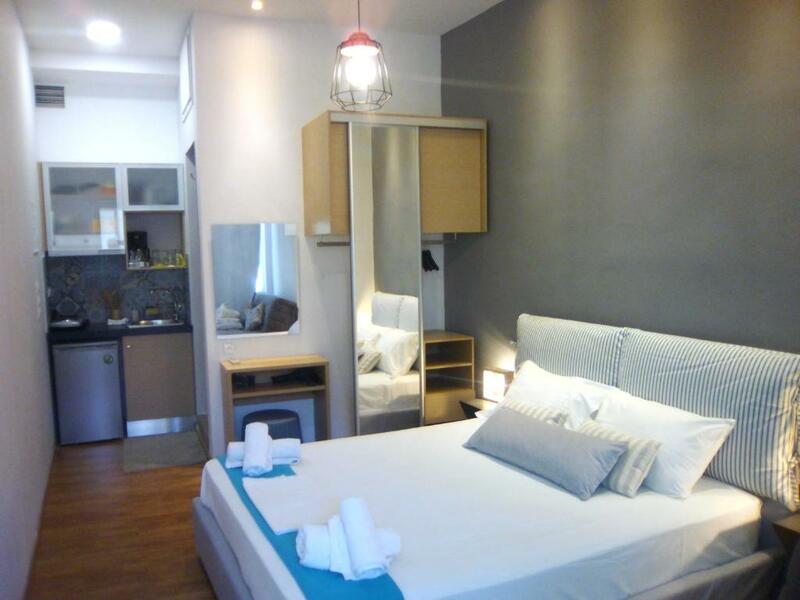 Guests will find restaurants and bars within a short walk from Lefkas City Apartments. The lively Nydri is at 11 mi, while Agios Ioannis Beach is 1.9 mi away. The famous Kathisma Beach is at 11 mi. Free public parking is possible nearby. When would you like to stay at Lefkas City Apartments? -a private bathroom with shower or bathtub and a hairdryer. -a bathroom with shower and an additional bathroom with bathtub and a hairdryer. Please note that an extra guest can be accommodated on the sofa with surcharge. This apartment features a dining area, patio and air conditioning. House Rules Lefkas City Apartments takes special requests – add in the next step! Lefkas City Apartments accepts these cards and reserves the right to temporarily hold an amount prior to arrival. Cleaning service and change of linens and towels are provided every 3 days. Please note that there is no elevator and no reception desk in the property. Kindly note that heating is upon charge. Please inform Lefkas City Apartments of your expected arrival time in advance. You can use the Special Requests box when booking, or contact the property directly using the contact details in your confirmation. 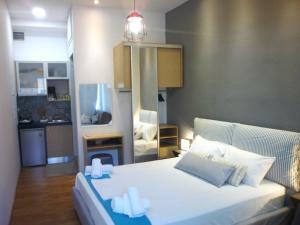 Location is terrific, we had no problem parking right by the property, walking distance to everything in Lefkas town. The phone call to arrange collecting keys was ok. The actual handing over of the keys was just that. No explaining of apartment (air con, balcony doors, cooker, shower control, etc..), front door opening times, how to check out. Very poor reception, not very friendly at all! The advert says breakfast is included but it was not. Not a big deal. There a bakery a few doors away. The lighting in the kitchenette could be brighter. The towels were like sandpaper! The room was comfortable, clean and really warm. 10min walk from downtown. Friendly staff. Value for money. I would Definitely recommended. Market, kiosk and coffee 2min walk from the room. Small plastic bathtub which was leaking water out. 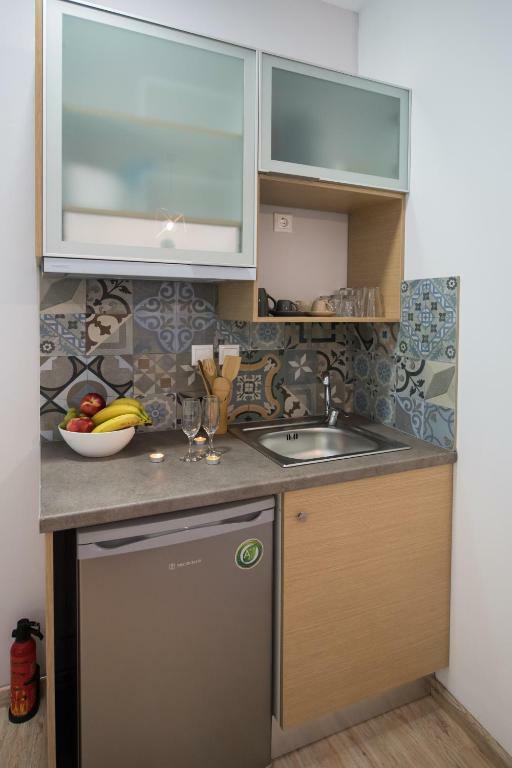 Tiny kitchenette. Extra comfortable bed, great design of room. Sofa too small. Chimney squeaking. WiFi kept cutting out..
Clean. Good beds. Changed linen every three days. Nice bathroom plus second toilet. Very clean and cozy. Very nice place.